So many trades, so little time. I feel like posting trades as every third item is a good way to go, but after getting an influx of packages last month, it’s anxiety-inducing and I feel like I need to do nothing but trades, all the time. Well, until I start hearing people complain about being too slow, I guess I’ll stick to my guns. However, that also means that some people have to wait a little longer as I also mix in some multi-part trades. One of those is from John, known on the Trading Card Database as herkojerko (here’s his profile, should you be so inclined, and you should). You can see the first part of our exchange right here, and the second part here. As I mentioned in previous posts, many of the cards he sent were from the so called junk wax era, which is not a problem at all. I still need a lot of that stuff. Often times, it’s so prevalent that people may forget to even check those years, including myself. Thankfully, John didn’t forget and so I have a few gaps filled. 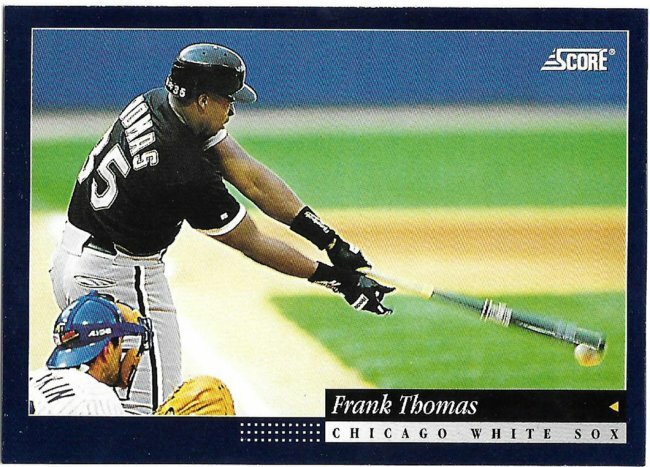 Today, we’re looking at some Frank Thomas stuff, which will carry over into the fourth and final part in the future. 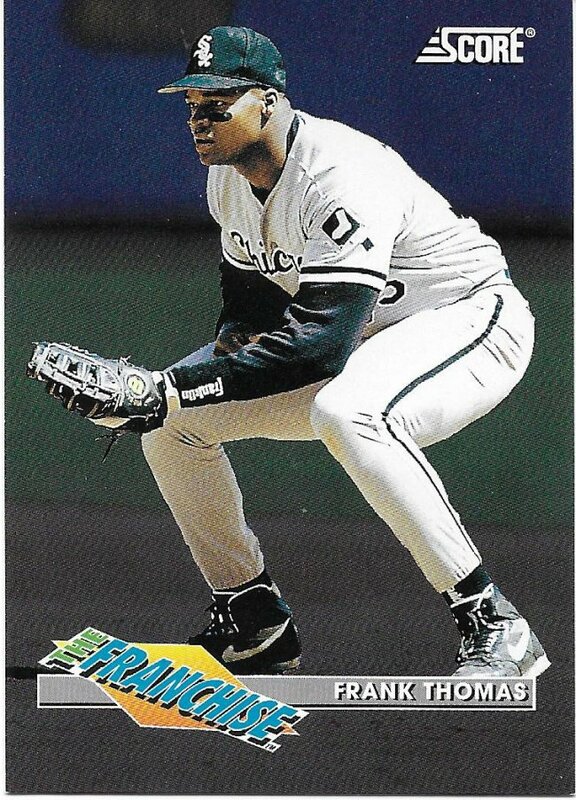 Out of all the early reboot days of Bowman, I am least familiar with this year. 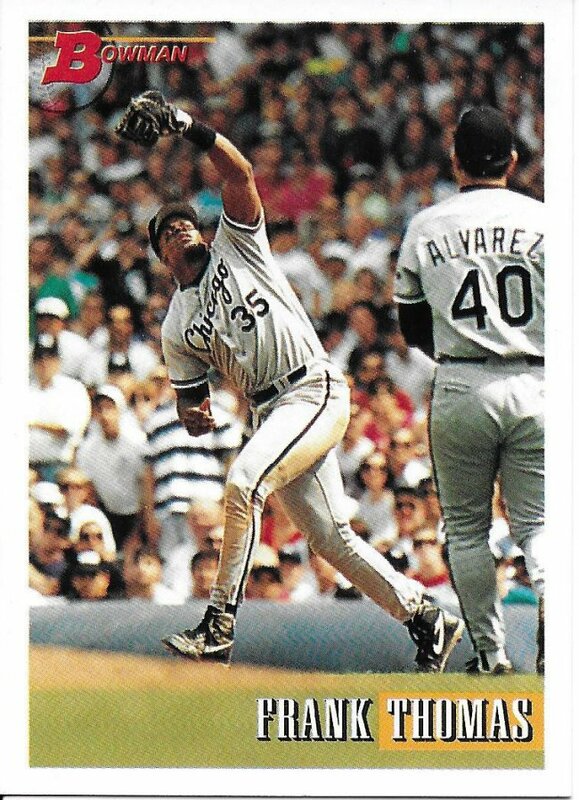 I had already started switching over to basketball at this time, and 1992 Bowman was so danged expensive, that it turned me away. Score should make a comeback. There are a lot of untapped brands over at Panini and this could be the biggest. 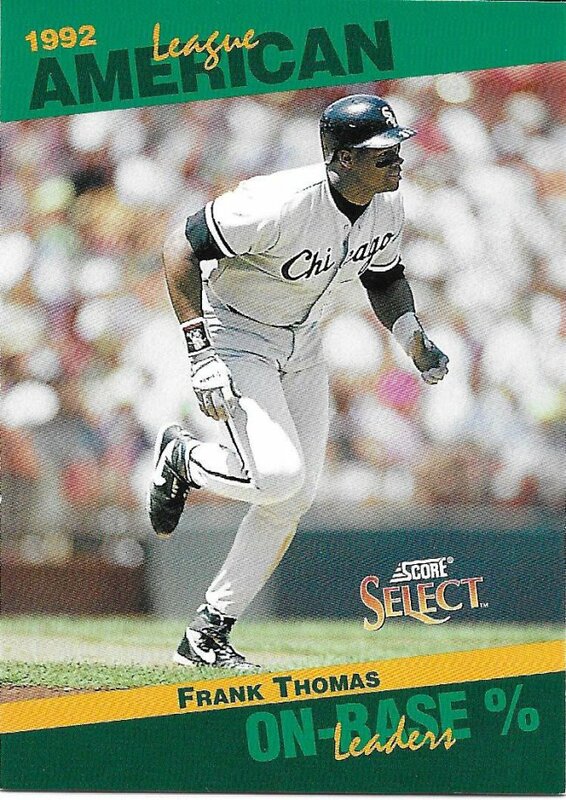 Select was brought back as a higher end thing one year, but just about all the Panini Baseball stuff did poorly that year. I really liked what they did with it, though. 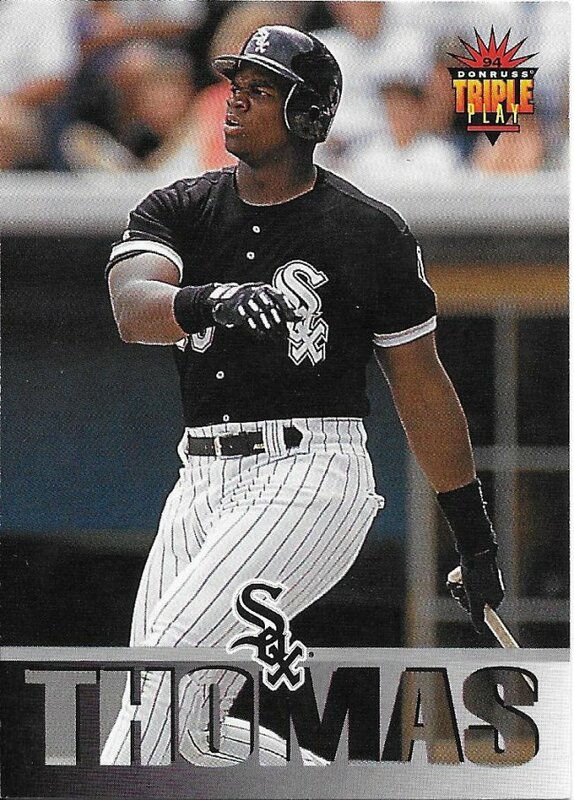 Keep in mind, when I’m saying Score can come back, I’m talking about the multi-colored borders and subsets, not the ultra sticky UV coating that tears cards. 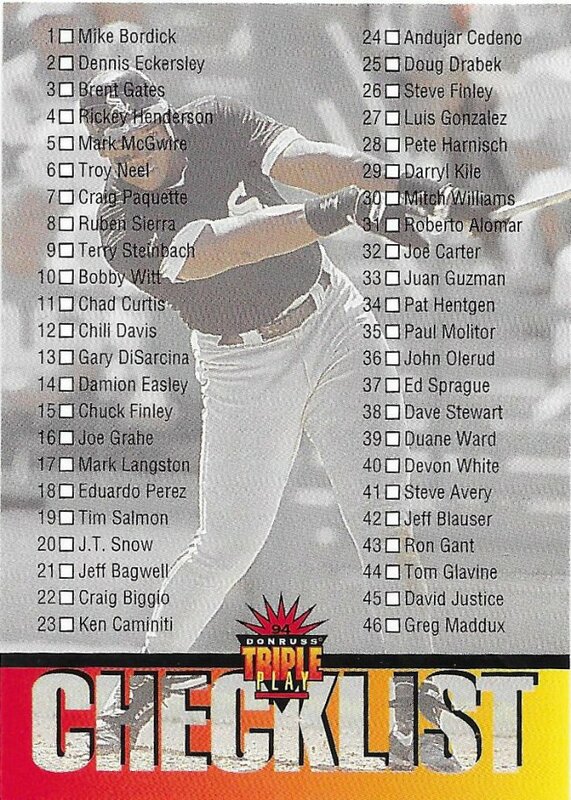 The Triple Play reboot was a fun set, but also proof that sets geared solely towards kids and/or without any semblance of “hits” just doesn’t survive the way we would hope. I’d like to see more checklists in current stuff. Throw a player picture in the background like this, if needed, but they’re still fun to look at. This turned into an inadvertent tour of modern Panini stuff, so I might as well finish with a Pinnacle card. That’s another one I wish would have lasted longer. Maybe it will come back again with some foil like this. 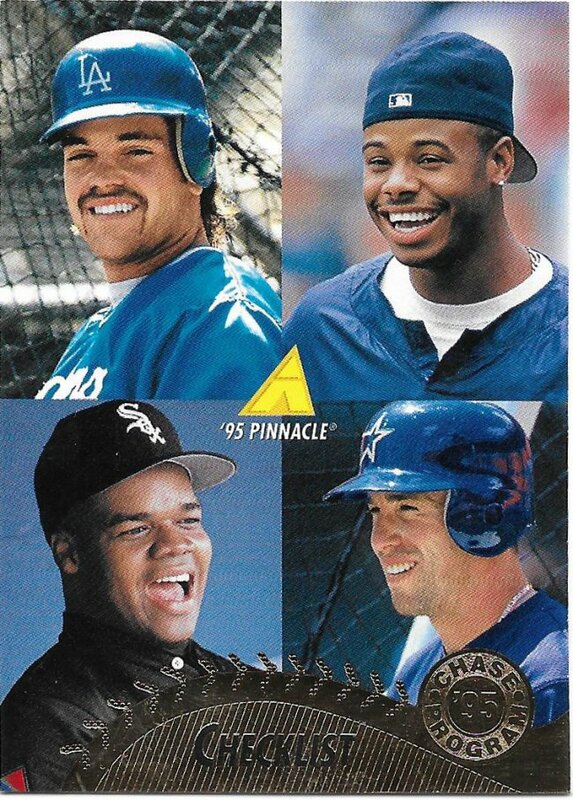 In the meantime, I’m still looking for plenty of these originals from the late ’80s to mid-’90s. So, thanks once again to John for helping me fill in those gaps. That action shot on the 93B is fantastic!